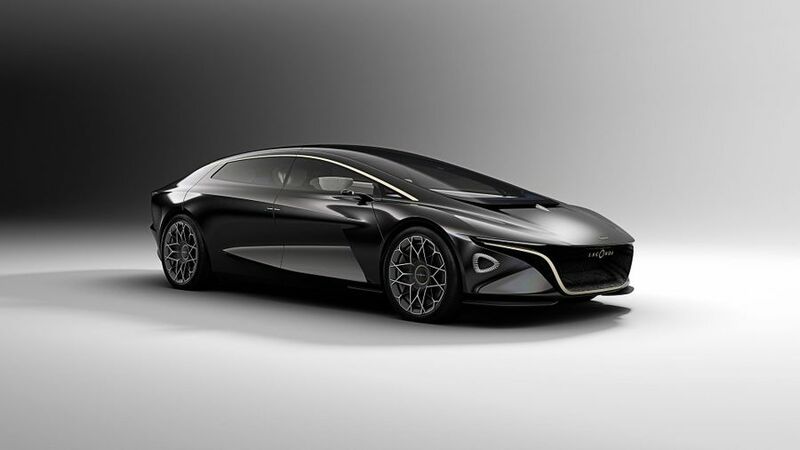 Aston Martin has revealed that the revised Lagonda brand will aim to be the first zero-emission luxury car brand when it goes into production in 2021. 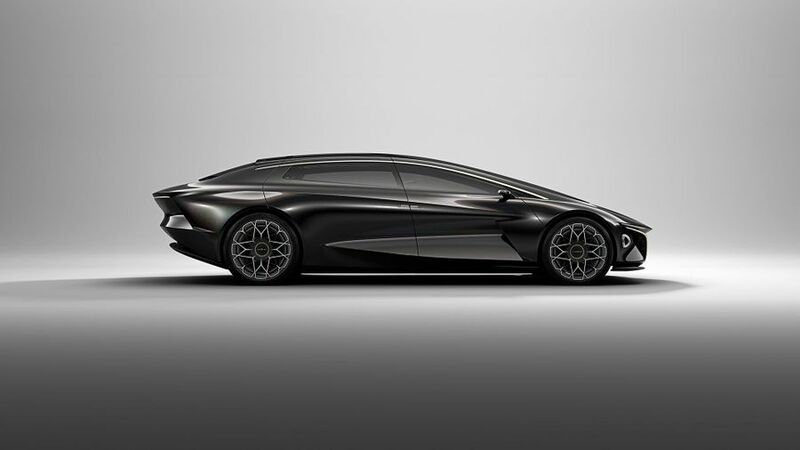 The Lagonda Vision Concept is on display at the 2018 Geneva Motor Show, and gives a preview at where the brand is heading. Rather than showcase the company’s glorious sounding and powerful engines, Aston Martin has chosen to make its new luxury arm entirely electrified. This opens up a realm of new opportunities for the design of the car, according to Aston Martin, hence the swooping design and lack of a traditional bonnet. The lack of engine means there is no need for a bonnet, the firm says, but it retains a carlike shape to aid aerodynamics. A similarly outlandish and bold approach has been taken on the interior, where there are a range of opulent materials on show, such as cashmere and silk: Aston Martin worked with Savile Row tailors and furniture designers. The rear doors open outwards, while the roof opens upwards to make it easier for passengers to get in and out, and the seats sit on cantilevered arms and offer bolstered arms and foot rests. In another quirk, the steering wheel can be moved from one side of the cabin to the other, so the Lagonda can be both left and right-hand drive. Aston claims the batteries in the Vision Concept will carry it as far as 400 miles between charges, although its concept status means it’s never going to have those claims put to the test. 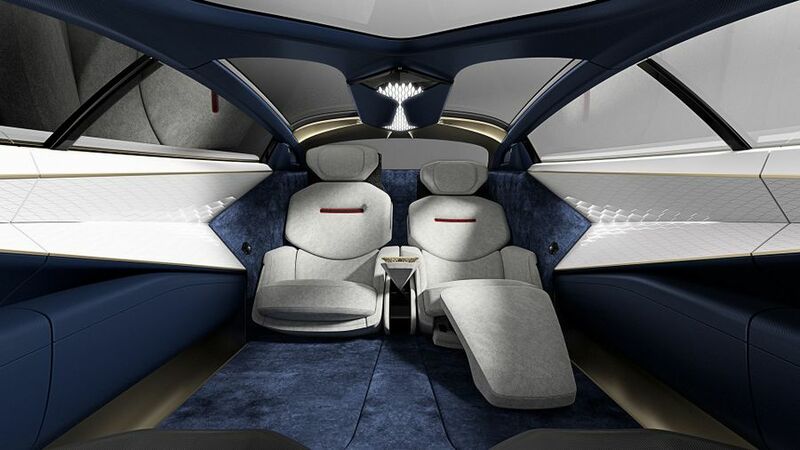 Unsurprisingly, the Vision Concept also offers the latest in self-driving technology: it is connected to the internet, and the car can take control on all recognisable roads. The car previews the look of two new Lagonda models, but we’ve got a while to wait yet… they aren’t going to go on sale until 2023.